Aluminum or bronze, select below. For slate and asphalt shingle roofs. Heavy strap with three mounting holes. 9.5 inches long overall, 5 5/8 inch wing span width, 4.5 inches high. We can paint our Jalco aluminum snow guards in almost any color, upon request, for an additional charge! Jalco Snow Guards have been designed to prevent snow slides. 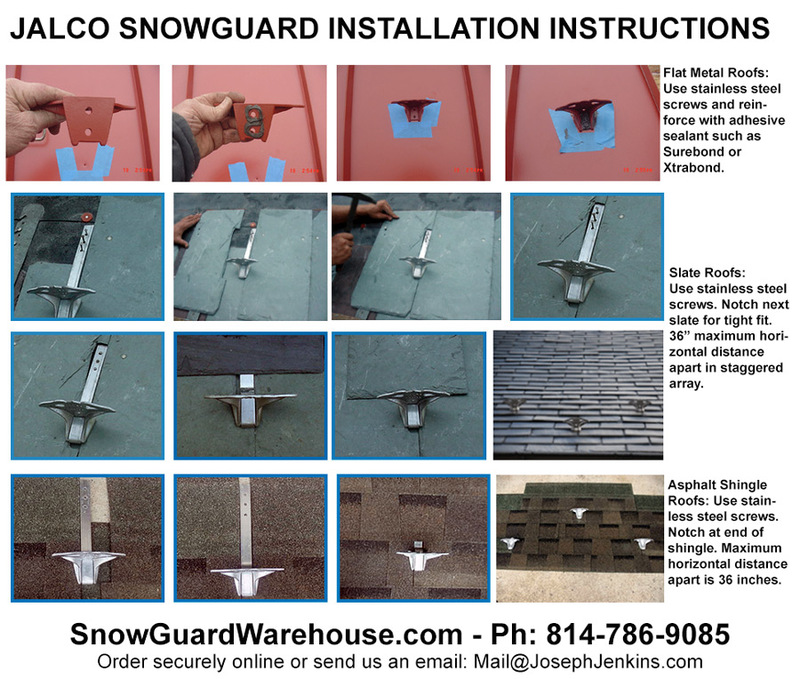 After years of installing slate roofs with steel snow guards with resulting rust trails going down the roofs, John Kleckner designed snow guard to eliminate this unsightly problem. In 1958 he came out with what was arguably the first aluminum snow guard. Jalco aluminum snow guard castings are made with at least 50% recycled aluminum.